Identify and strengthen the weakest links in your farm systems. Help you design and develop a successful farm based on the unique syntheses of your land, people, and business. Help you identify and find the resources that you need to accomplish your goals. Fees vary depending on the extent and nature of your needs and the amount of travel required. We provide anyone interested in coaching or consulting a free 20-minute consultation to explore our working together. To schedule your call, email us, and we’ll set it up. 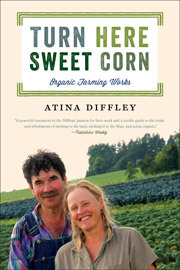 Link to resumes and bios for Atina and Martin Diffley.